Crack House is the extraordinary true story of the cop who took on London’s crack gangs and won - in one year. Crack, which sells for as little as £6 a hit, entered the UK in the early 90s. By 1999 London was in the grip of an epidemic. With the crack came guns, prostitution (95% of Britain’s street prostitutes use crack), gambling and other drugs and the turf-wars, bloody gun battles between rival gangs fought on the streets (95% of street shootings were crack-related). Communities were crying out for action but there were only two specialist drugs squads in London. This is the story of one of them, Haringey Drugs Squad, led by DS Harry Keeble who decided that the only way to return the streets to the community was to fight a war against crack. Their mission: to eliminate all 100 crack houses in their borough in one year (2000). It should have been impossible. But they did it. As a direct result all black-on-black killings in Haringey stopped for twelve months, an achievement yet to be repeated in any inner city. 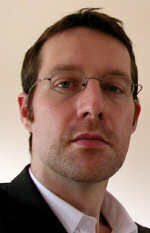 Shootings, burglaries and muggings fell massively. The streets were safe again. Crack House is their breathtaking story, told by the leader of this exceptional squad, a story of spectacular and innovative raids, arrests, beatings, stabbings, shootings, torture and murder. The story of a team of dedicated young family men who regularly faced death and serious injury, Crack House will take the reader into the dark heart of the criminal world’s most terrifying, violent and sickening places. 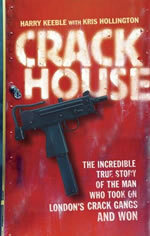 Crack House relates the electrifying battle to raid 100 fortresses secured with the latest technology, behind whose reinforced doors lurked Britain’s biggest drug dealers surrounded by crack-addicted hit-men who kill for as little as £200 (known as ‘Bics’, like the plastic razors of the same name, they are cheap and disposable). Incredibly, despite their astounding success, the proactive and prolific approach of Haringey Drugs Squad was not pursued. Crack House uncovers why our most vulnerable communities were left to fend for themselves as the crack dealers reclaimed the streets and rapidly spread their violence all across the UK. In London in 2006, two people were shot every day, that’s double the number in 2005, a direct result of the growth in the crack trade. Every single one of the UK’s most tragic, appalling and senseless gun murders since 2000 are crack related. Toni Ann Byfield (aged 7), Danielle Beccan (14), Ainlee Walker (2), Mary-Ann Leneghan (16), Letisha Shakespeare (17) and Charlene Ellis (18) are just a few of the innocent young female victims. "A true life account of an honest cop’s successful effort to stamp out crack houses on his turf, this is a fact-filled, very readable and at times disturbing book. While we’re all aware of the horrors of crack and the dirty crime it spawns, some of the anecdotes – backed by just the right amount of stats and figures are truly shocking...Much like its subject matter, this is gripping stuff." "In his blistering book Crack House, hard-nosed cop Harry Keeble tells how, for nine bone-crunching months, he his men rampaged through London's seething drugs underworld. They smashed 100 crack dens, BATTERING down doors and SHATTERING teeth as they invented a new style of policing to sweep the streets clean of dope-dealing scum."